WordPress WooCommerce Marketplace Stripe Connect : Using this plugin you can accept payments from all over the world for your e-commerce store. This Plugin can be run in both test and live mode. Stripe is a PCI compliant payment company which enables any user to make payments using a credit card. 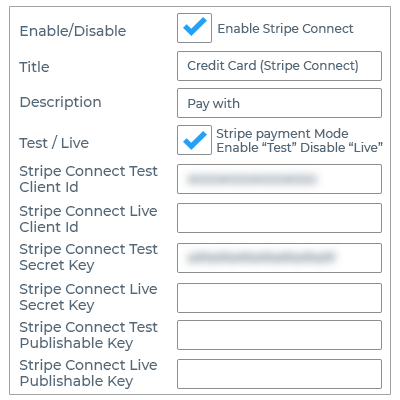 WordPress WooCommerce Marketplace Stripe Connect - Stripe is a PCI compliant payment company which enables any user to make payments using a credit card. It will work live as well as Debugging mode. In this seller has to connect using stripe connect. Stripe payment gateway handles payments, including direct payouts to seller's bank account. No doubt stripe is the easiest and most scalable payment gateway of the modern time. Important Note - This plugin is an add-on of WordPress WooCommerce Marketplace. To use this plugin you must have installed WooCommerce Marketplace extension. Create token when receiving card details so that no information of the card will be saved at the server end. Support almost all kind of cards including Visa, Mastercard, American Express, Discover, etc. Split the customer payment among the sellers and the admin. Accept all stripe supported currencies. 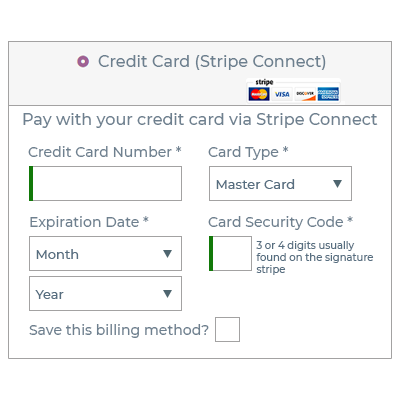 Configure the store with the stripe payment method. Enable the payment method for buyers and sellers. Select the cards to be accepted under the payment method. Enable that the customer needs to enter the credit card CVV code. Can allow the customers to save billing information for future use. Sellers need to authorize access to their account. Configure account to connect with the admin stripe account. Sellers need payment description or id to connect stripe account. Sellers will receive payment via the stripe account. The module split the seller's payment and the admin commission. 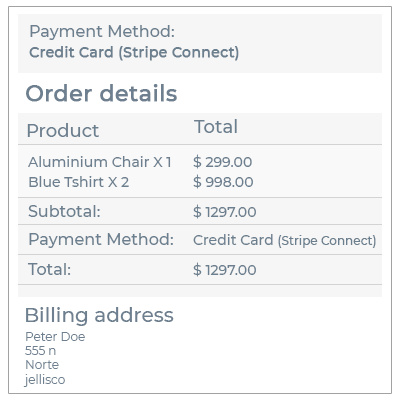 The customer will see the stripe payment method at the time of checkout and can use the same to place the order. The customers will have to enter their credit card details to process the payment. Enter credit card details with the credit card type. Customers can select the card type as – Master, Visa, American, and Express. Need to enter the card security code or CVV code. Need to enter expire date of the credit card. The customer can save the billing information for future use. View the selected payment method to place the order. Can view the order number, date, email, and total amount paid. The customer can view the saved billing address. The seller and customer view the order status. The seller can also view the complete order details. The customer makes a payment for the product/s, the payment is automatically split among the admin and the sellers involved. Did you buy Marketplace Stripe Connect for WordPress WooCommerce? What is the best payment method for WooCommerce Marketplace? WooCommerce Marketplace Stripe is the best payment method which can accept payments from all over the world for your e-commerce store. Is there any payment method which can automatically split the payment among the admin and the sellers? 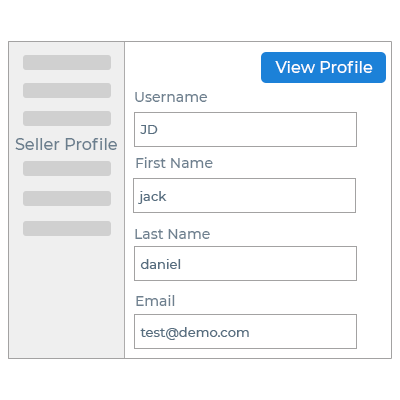 With help of our WooCommerce Marketplace stripe module, you can automatically split the customer payment among the admin and the sellers. Which cart types are supported by this module? Accept all the cards that stripe supports including Visa, Mastercard, and American Express & Discover. Does the customer need to enter the credit card CVV code? The admin can enable/ disable the feature in which customers need to enter the credit card CVV code. What if the seller does not register stripe account through the module? In case the seller does not register to the stripe account through the module, then the whole payment goes to the admin.